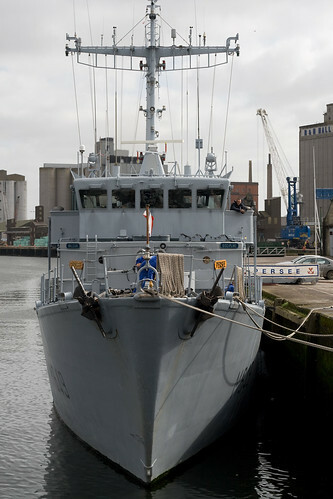 LE EITHNE is due up the Solent on Thursday. 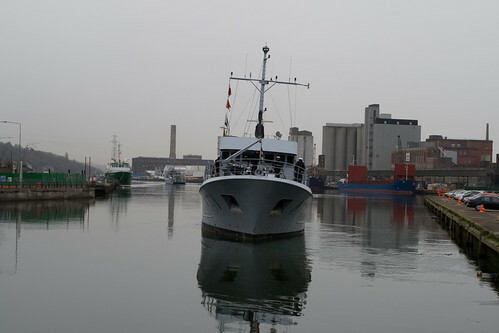 Has there been previous visits by INS vessels to Portsmouth?. It was normally Plymouth for FDO & HCO trg and / or helo fuel. Pretty sure it was Portsmouth, think the fire-fighting lads when to Plymouth. 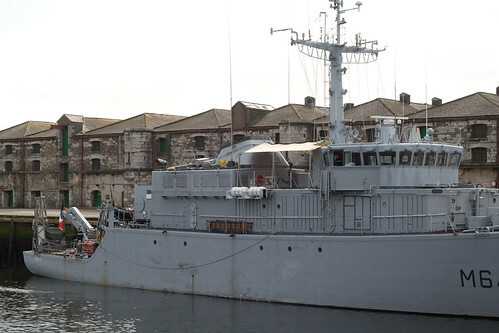 I didn`t go was taken off to go on Grainne for salmon patrol and then went to R.N.A.S. Culrose to do S.A.R. 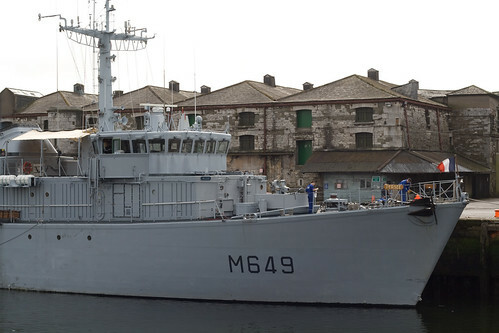 course so I went to both Portsmouth and Plymouth but without the ship then rejoined Eithne after. 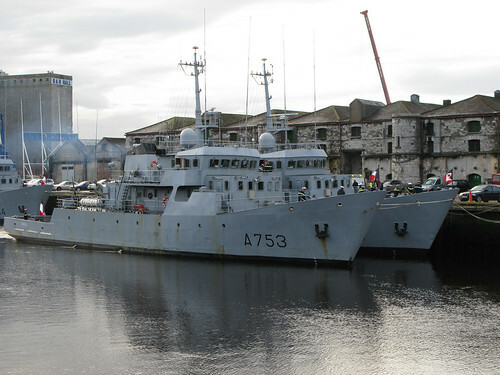 A number of French training vessels are visiting Cork this weekend, arriving on the 12th. All are familiar sights in Cork at this stage. 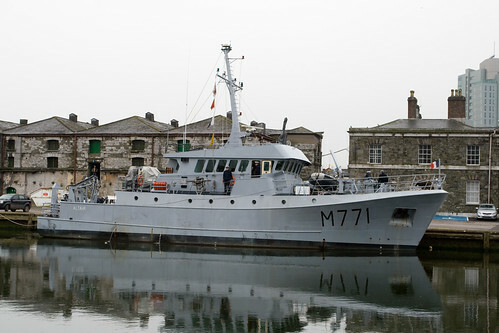 Crustymedia is kicking up a storm of course as the Marine nationale prepare to invade Ireland in four trawler size training vessels. The Vessels are Chacal, Gepard, Leopard and Tigre. All are similar to Chacal, seen here. 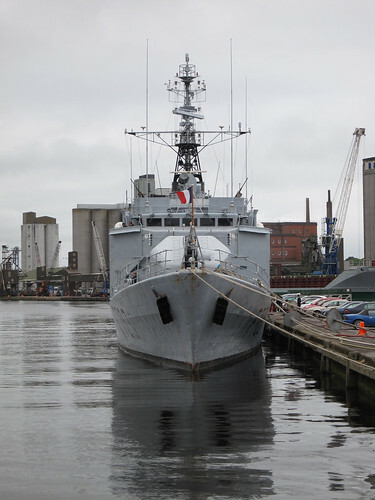 Admirante Condell FF-06, from Chile is also due in Dublin on the 17th. Definitely named after an Irishman. 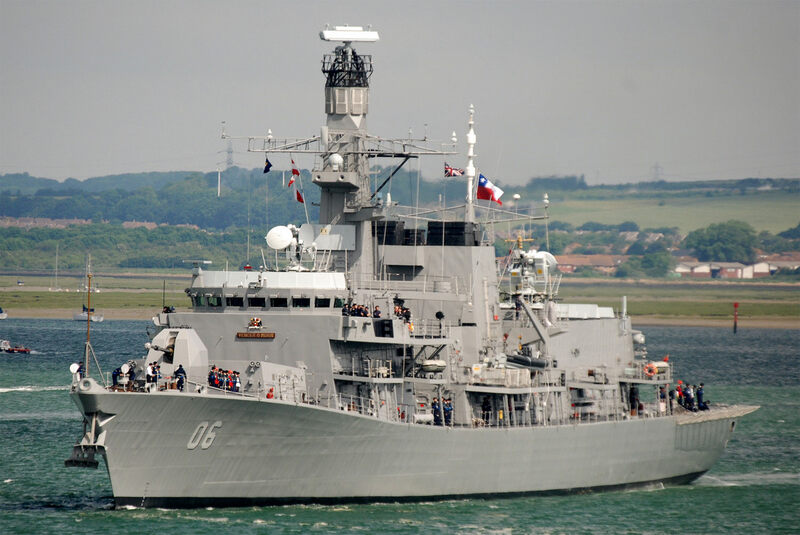 Formerly HMS Marlborough, a Duke Class Frigate, prematurely disposed from RN service. Do you know where she will be docked goldie. ot is that information in the public domain?could be worth a trip to dublin perhaps! Don't know. I'll be in France myself. 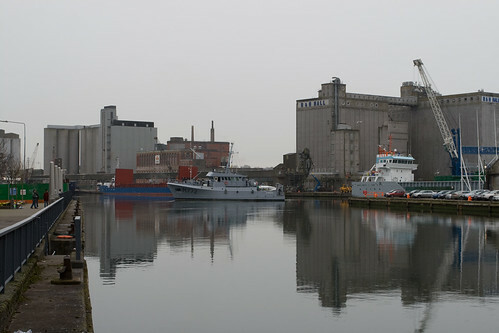 Check the Dublin Port website for more details closer to the date. Did you notice her motto: "Vencer O Morir", something like "Victory Or Death"
Eithne was in London afew years back and the Peacocks visited Liverpool regularly, If I remember correctly Eithne also visted Belfast in the not to distant past. Wrong thread folks. 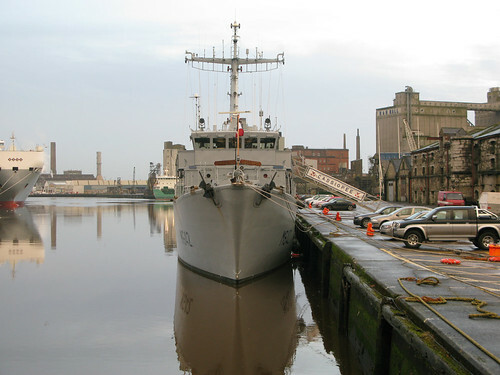 This is about foreign ships visiting Ireland, Not Irish ships visiting foreign ports. 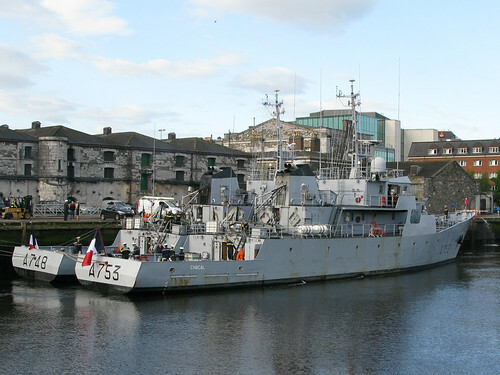 A number of French training vessels are visiting Cork this weekend, arriving on the 12th. click for larger sizes, some more photos here. yeah, and there were still only 3 at 6 this evening. I grabbed some pics today and will stick them up on Monday. 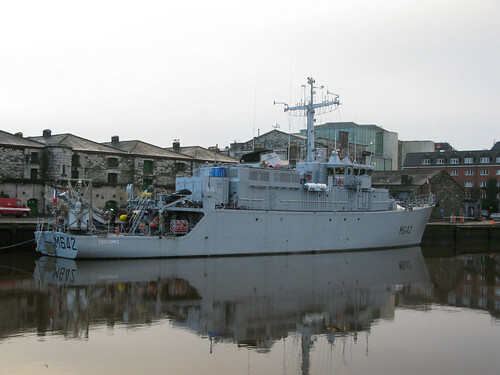 French minesweeper Cassiopee in Cork this morning. 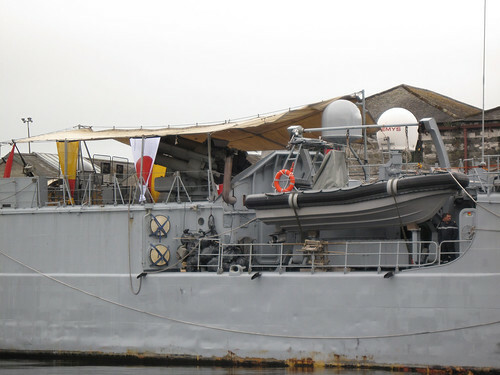 She was in Bantry Bay for the Whiddy Ceremony last week. Last edited by boomer; 8th February 2009 at 18:02. 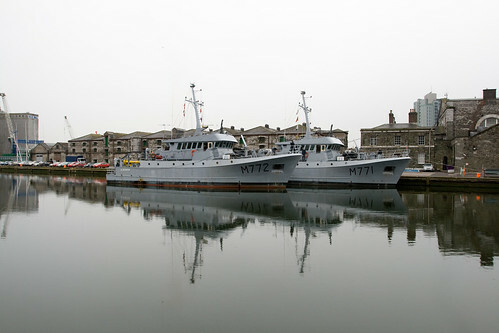 Just caught French Vessels Altair and Aldébaran as they left Custom House Quay this morning. click to go to flickr for bigger images. 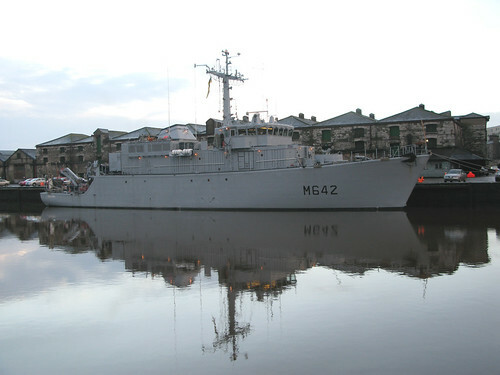 French minesweeper Persee in Cork for St. Patrick's weekend. 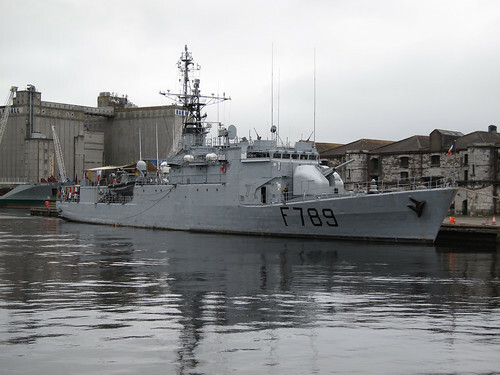 LE HENAFF F789 due in Cork 22nd May. She seems to be bristling with weaponry. They took the trouble to stash the rubbish out of sight of the visitors and I had to ruin it for them.